All of us have things we'd like to do, or have done, to alter how we look and are capable of. Whether you work out, get tattoos, or even just pierce your ears, there's things we do that can shape how we're perceived or the various abilities we have. 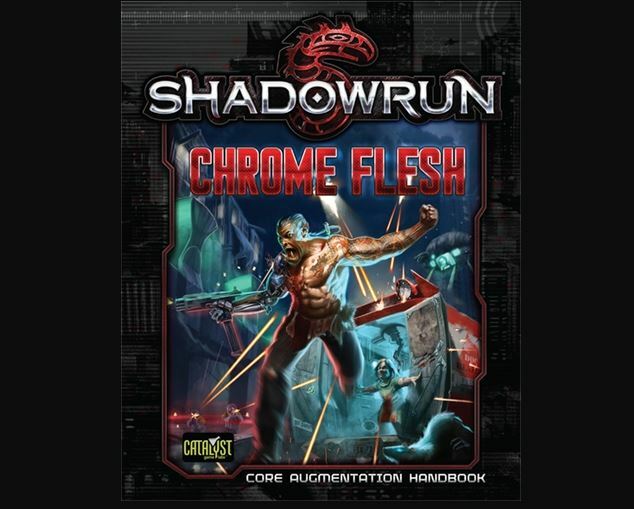 Well, in the world of Shadowrun, there's a lot more options for body modification. Granted, since it's all futuristic and stuff, it's a bit more elaborate than what's available now. Greetings Program! I always did like the idea of going into a computer, into the internet and just flying around inside of it. Movies like Tron and Lawnmower Man (don't laugh. I liked that movie) and TV shows like Futurama (where they go into the internet) have always been fascinating to me. I'm hoping that we get to that point sometime relatively soon. 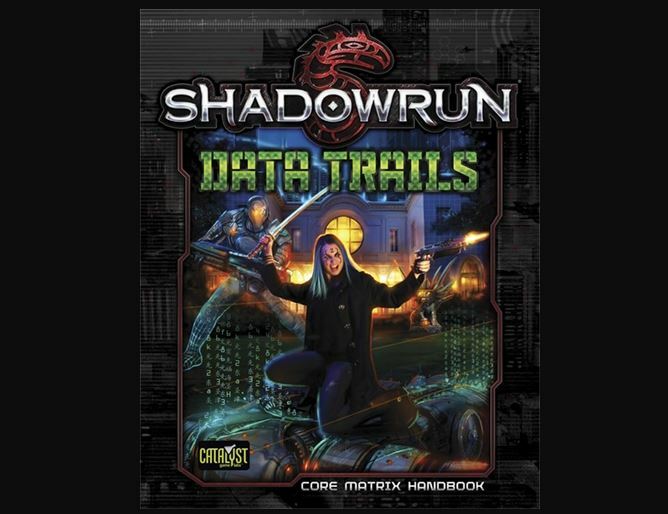 Well, the latest sourcebook for Shadowrun is right up my alley, since Catalyst Game Labs takes you to the Matrix with their new Data Trails sourcebook. 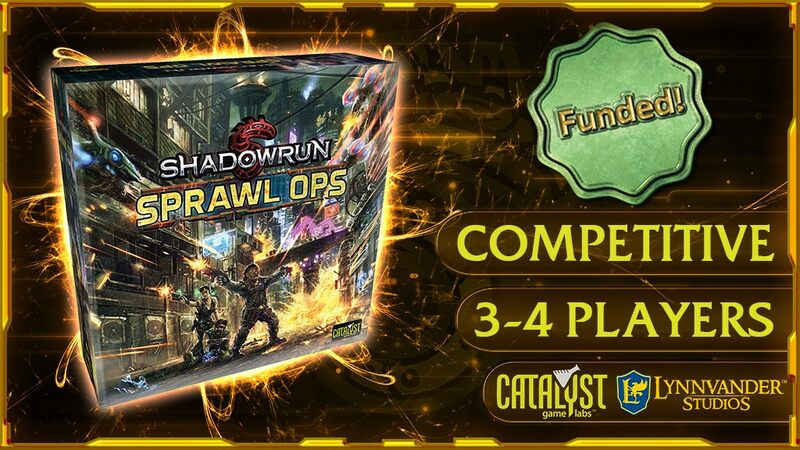 Catalyst Game Labs expands your Shadowrun resources with two new campaign books. You can get them in pdf now, or if you prefer something a little more solid, you can pre-order the print versions over in their webshop. The two books differ much from one-another, and will test your players in very different ways. In one, a strange force is killing random people and must be stopped. 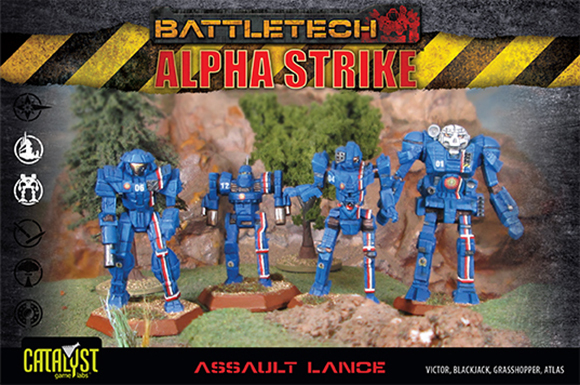 In the other, Megacorps are gearing up for an all-out attack. 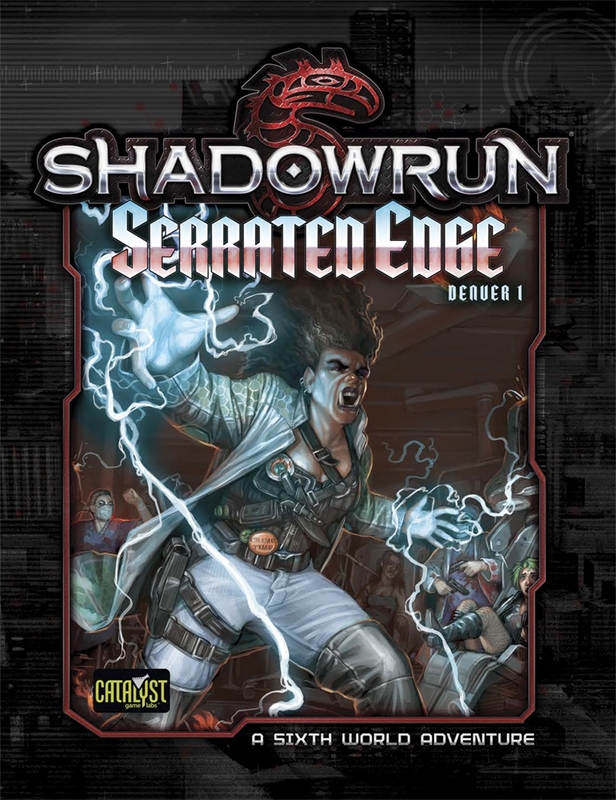 Catalyst Game Labs takes you into the future with two new ShadowRun books (one an e-release) available now. The first is Aetherology. When the real-world (full of ogres and dragons) and the net-world (with its sentient programs) aren't strange enough, there's Aetherology. This book explores altered states of consciousness (whether your player wants to be part of them or not) and the powers and creatures that govern such states. You thought things could get crazy before? You've not seen anything yet. The second book is London Falling (and yes, now London Calling is stuck in my head), an adventure book for Shadowrun gaming in Jolly, Old London. There are four adventures within it. 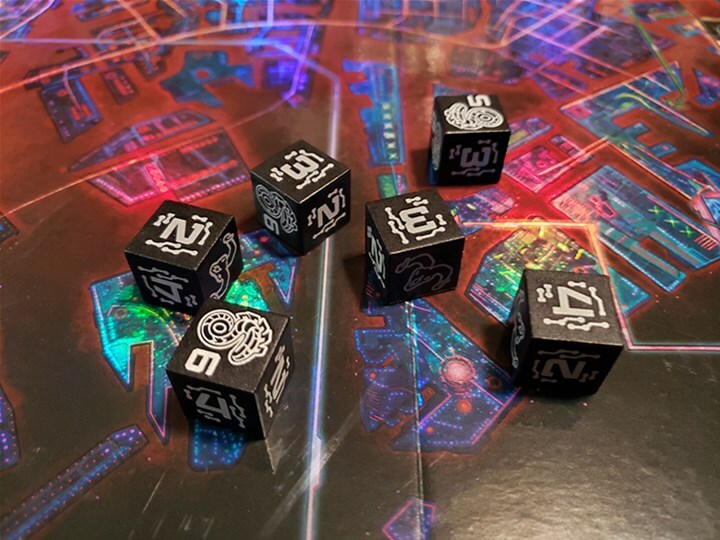 They were originally designed to be played at conventions, so each one can either be used as a stand-alone, or be integrated into your current campaign. 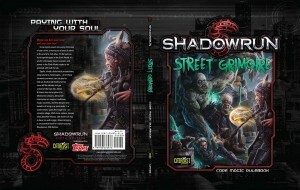 Catalyst Game Labs has started taking orders for their new Street Grimoire book for Shadowrun. And the books are really starting to flow…ready for the next Shadowrun Core Rulebook expansion, cause it’s here: Street Grimoire! Magic can burn your brain and sear your soul. It can inject power into every millimeter of your veins, or leave you a lump of ashes at the end of a dark alley. It’s dangerous, but to spellslingers in the Sixth World, it’s worth it. Because magic is power, and power in the Sixth World needs to be grabbed with both hands. 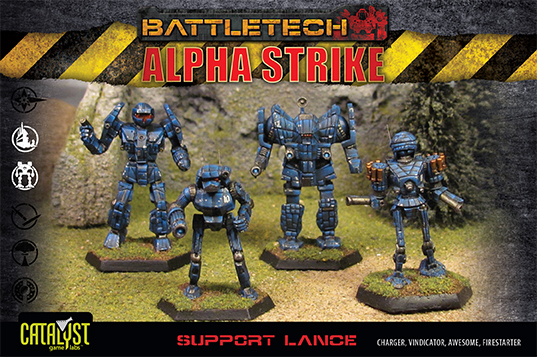 Catalyst Game Labs has posted up their July street dates for their products. Shadowrun can be a dangerous game for your PCs. There's all manner of sci-fi and fantasy sharp pointy things and zappy bits. 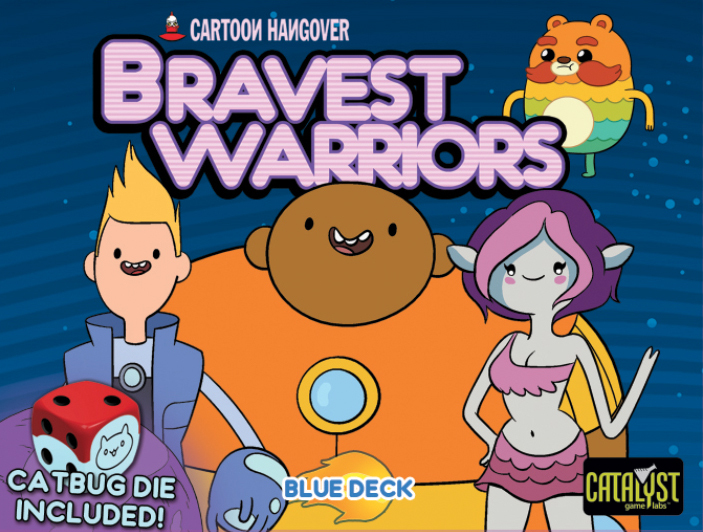 Catalyst Game Labs helps your players stay alive with Bullets & Bandages. We have a new electronic release for you today! 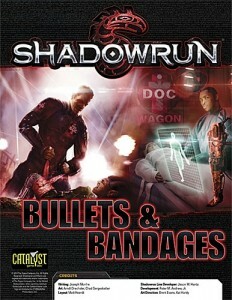 Bullets & Bandages, the latest book in our Shadowrun Options line, is now out. Packed with fun info about medtech, high-threat response teams, and optional rules to use in you Shadowrun game, Bullets & Bandages gives you the chance to add more details to healing the bumps, bruises, and bullet wounds runners in the Sixth World often take. 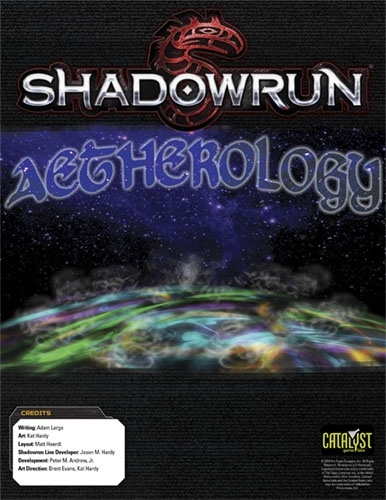 And it’s got information that will make it usable to both Shadowrun, Fifth Edition players and those using Shadowrun, Twentieth Anniversary Edition. Catalyst Game Labs is showing off their 4th Run & Gun preview, including tactical tips on how to use all your new-found knowledge. Say, that there Run & Gun book we’ve been talking about from time to time is getting awfully close to electronic release. But before it gets there, we’ve got one more preview for you–this time, you get a look at the Tactics & Tools chapter, which is full of info on how your shadowrunners can work together to get the best results, such as not getting their face filled with flying hot lead. 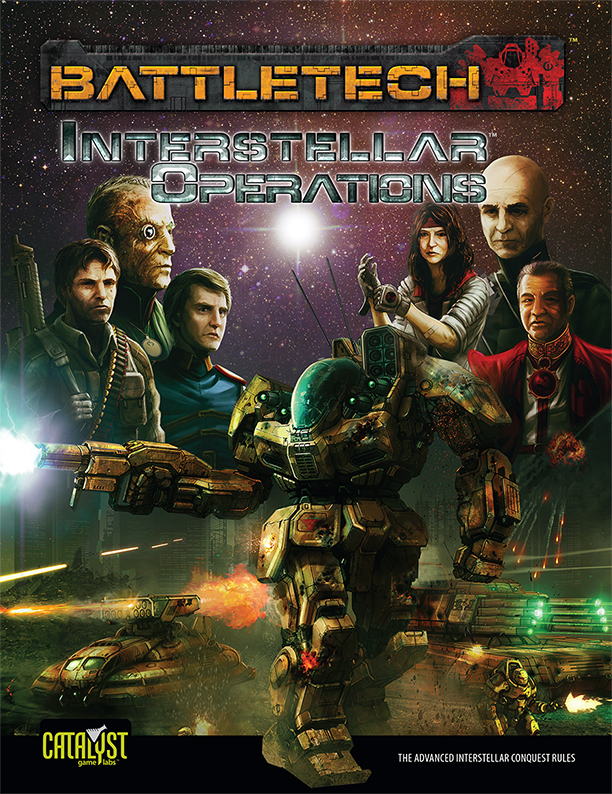 It’s available now at the Battleshop and DriveThruRPG-enjoy! 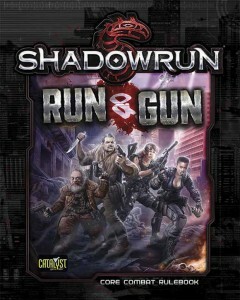 Catalyst Game Labs is showing off their 3rd preview for the Shadowrun: Run & Gun supplement. Another Run & Gun preview has spun out into the wilds of the Internet—particularly the Battleshop and DriveThruRPG—and if you want a preview of some of the combat options this book is going to offer you, this is a preview you definitely want to check out. Especially since, like the rest of the previews, it’s free! Just so you know, the full chapter from which this is excerpted is nearly 40 pages long and has some sweet martial arts stuff in it, along with offensive options, defensive options, and more! 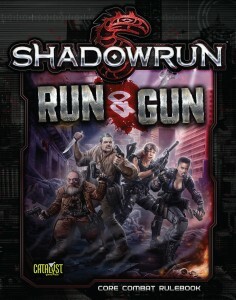 Catalyst Game Labs has their second Shadowrun Run & Gun preview up. Now you can see an overview of the whole book. I guess it’s time for another Run & Gun preview, so we’ve got one posted! This time we’ve posted the entire introductory section to give you an idea of what you’ll be able to find in the book and how it can be used. 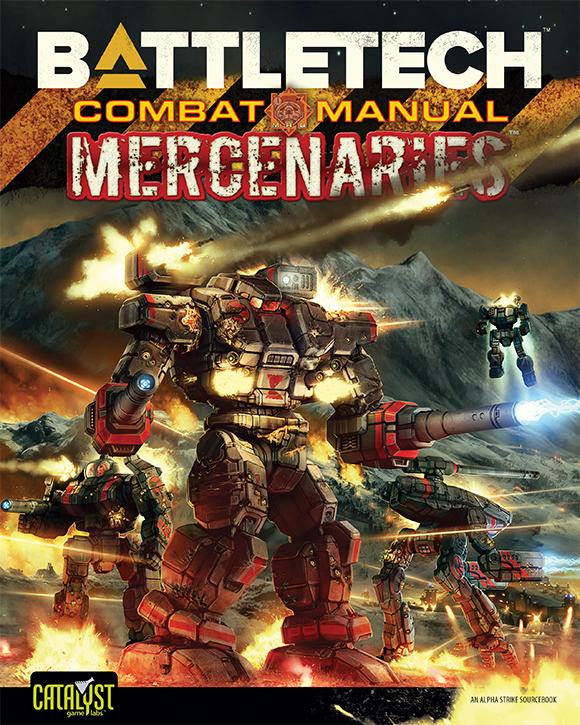 It’s totally free, and available at either the Battleshop or DriveThruRPG, so I can’t conceive of a single reason to not go out and get it. Enjoy! 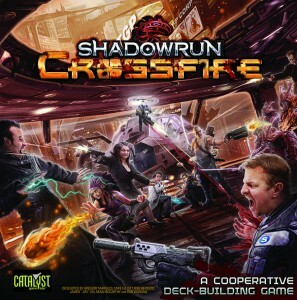 Catalyst Game Labs has their first preview for the core combat book for Shadowrun 5th edition up. 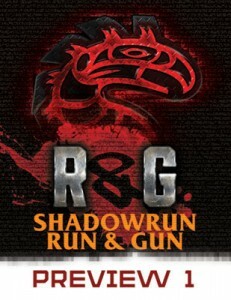 Did you know that Run & Gun, the Shadowrun, Fifth Edition combat core rulebook is coming soon? And that it will have new weapons, armor, explosives, combat and defense options, martial arts, and more? Did you know the art crew has been doing their usual bang-up job to make things look especially awesome and brutal? Well, all that’s been happening, but we don’t want you to take our word for it. Go check out the first preview for the book instead!